You eat right. You exercise. You hydrate. And yet, you still feel “off” most days, waking up with brain fog and feeling tired the whole day. Are you really eating right? Are you getting enough nutrients from food? Do you need to take vitamins? 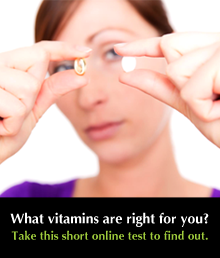 Most of the time, despite your best efforts to do research on and to consume the “right” vitamins and other supplements, your body may still be deficient or in excess of several nutrients. A nutrient deficiency or toxicity signals an imbalance in your body. When this is unaddressed, your body can still function at sub-optimal levels for months, even years. When this imbalance progresses, however, it will eventually manifest in signs and symptoms that may lead to serious health conditions. So how do you correct nutrient imbalances? Through Measured Wellness®. Measured Wellness® considers that your body is unique in its biochemistry. Which is why in nutritional supplementation, one size does not fit all. We use advanced nutrient & metabolic testing to get a good baseline of your nutritional status. This way, you can be assured that you’re taking the right food and supplements to achieve optimal health and to manage current diseases and predispositions. It’s nutrition that is totally tailored for you. Measured Wellness® allows the practice of true personalized pharmacology!